Graf & Partners LLP is a German law firm of advocates and solicitors with offices in Munich and Regensburg, as well as established ties to partner firms in the UK. Since 2003, we provide our international clientele with professional contentious and non-contentious advice in particular in the areas of business, corporate, family and inheritance law. 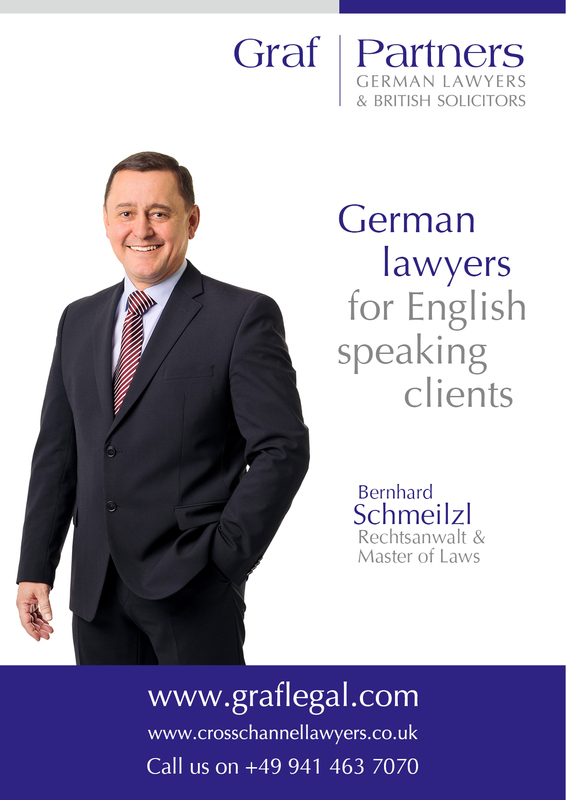 Our German litigation department GP Chambers is very well equipped to take instructions from UK and US clients, both on a commercial and a private level. The Graf Partners litigation lawyers regularly appear before German law Courts throughout the country and provide specialist legal advice, support and advocacy services in all commercial and civil law matters, ranging from contract disputes, corporate litigation and employment, to damage claims, divorces and contentious probate. Our Munich office is located in the heart of the city at Radlkoferstr. 2 just three underground stops from grand central station and virtually right accross the road from the famous Theresienwiese, where the annual Octoberfest takes place. Not that this was the reason to set up shop there… well, maybe, a little bit. Our second office is located in the beautiful city of Regensburg, a one hour drive north of Munich (map) and close to the cities of Nuremberg and Frankfurt and their respective High Courts. Not only is the historic old town of Regensburg part of the UNESCO world heritage (details here), but Regensburg ranks 11th among the 419 economic regions of Germany and 4th in real estate value and quality of life. Yes, fourth. The firm is particularly strong in German-British and German-US cross-border legal advice. We specialise in drafting cross-border agreements and the handling of German-English probate matters of family law issues. Our core legal team consists of four German advocates and one English solicitor, being supported by qualified and dynamic associate lawyers and very experienced clerks. Several of the firm’s German attorneys have studied and/or worked in the USA, UK and Ireland. Thus, all correspondence and negotiations can be professionally handled in English, French and – of course – German. We have a well-established professional relationship with the London based law firm Lyndales Solicitors. In cross border cases the two firms regularly join their forces and provide clients with professional advice in both British and German law.